After the area going years without a movie theater, one is planned for Chester next year. A new Cinema Cafe complex, located off Route 1 in the Bermuda Crossroads Marketplace, is slated to break ground this fall for an opening in late 2019. The free-standing establishment will also feature a spacious bar and lounge located in the lobby, which will provide guests with an ideal hangout before and after the movie where they can enjoy one of 20 different beers on tap or a signature cocktail. The new Cinema Cafe location will boast nine full-service auditoriums with handcrafted American favorites like burgers, pizza, beer, wine, cocktails, and other movie must-haves like popcorn and candy, all served at your seat by waitstaff. Auditoriums will showcase large wall-to-wall digital high definition screens, enhanced Dolby digital sound, luxury leather recliner seating with swivel tables, extra-wide space between rows for maximum comfort, and one auditorium with a premier large-format experience. The nine-plex will be 45,000 square feet with 1,400 seats. Since 1986, Cinema Cafe has been known for being an innovator in the world of dine-in theaters, successfully combining movies and full-service dining into a unique one-stop experience. One of the oldest cinema eatery chains in the nation, Cinema Cafe was named “Best Movie Theater” and “Best Family Entertainment” (The Virginian-Pilot’s Best of 2018). Guests will be able to order food and drinks from an extensive menu in the theater with a server who waits on them throughout the film with “ninja-like stealth,” a press release states. 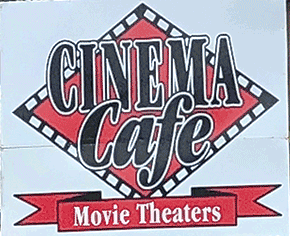 With a focus on the values of extraordinary service and affordability that helped to establish Cinema Cafe as a staple in the Hampton Roads area, the Chester location will be Cinema Cafe’s sixth location in Virginia and is much larger than the original Virginia Beach twin-plex that John and Debbie Walker opened 32 years ago.